Diamo Blue, 7, part of an illustrious family. Sometimes your family makes you proud, and if the young stallion Diamo Blue could read show results right now, he might be justified in taking pride in recent wins by his half-brother and uncles. Diamo Blue is a young stallion owned by W. Charlot Farms, sired by the impressive Diarado (who is by Diamant de Semilly), and out of a mare by Chacco Blue. His relatives dominated the last two stops of the prestigious Global Champions Tour. 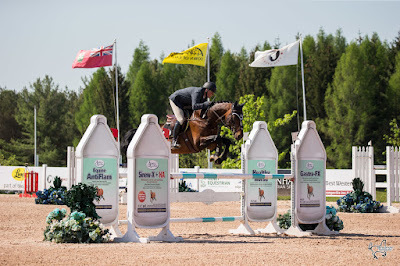 In Madrid, 9-year-old Explosive, by Chacco Blue, won the Grand Prix with Ben Maher. The following week the Global Champions Tour moved to Hamburg, Germany and 9-year-old Don Diarado, by Diarado, ridden by young Maurice Tebbel, won the first qualifier of the Grand Prix. The Grand Prix was won by Diamant de Semilly son Don VHP Z under World #1 Harrie Smolders, with another Chacco Blue offspring, Chacco’s Son under Maurice Tebbel, coming a close second. This past weekend, Chacco's Son was one of only three horses to go double clear in the Nations Cup in La Baule. 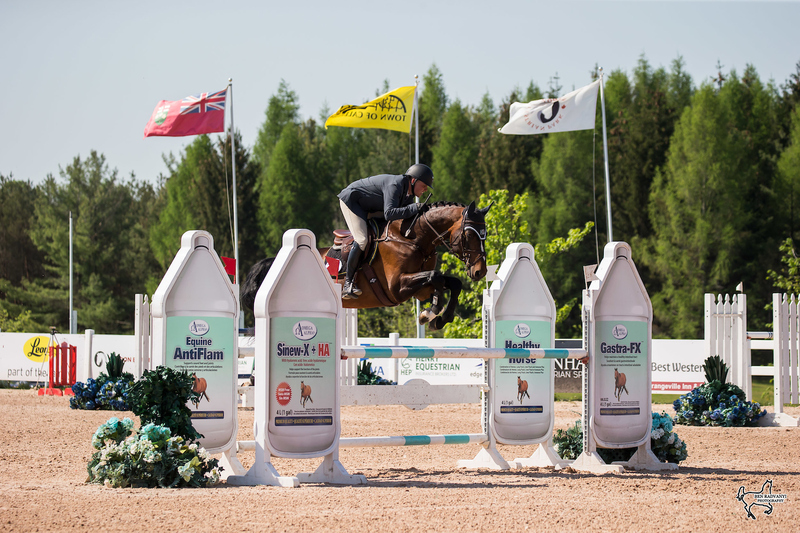 Augustin Walch, of W. Charlot Farms, says, "We are thrilled to be able to offer the incredibly successful bloodlines of Diarado, Chacco Blue and Diamant de Semilly to discerning breeders of show jumpers in North America. 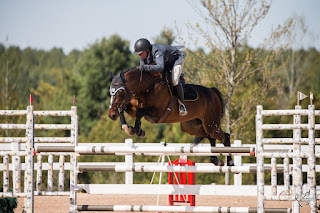 "While the focus for Diamo Blue will be on breeding during the next few months, we have started showing him in the 7-year-old Jumpers, where he had a fabulous round with one unlucky rail at the last jump." Meanwhile, the 2017 USEF Hunter Sire of the Year, Cabardino, is once again leading the USEF Hunter Sire rankings at the half way mark of the 2018 show season. For Diamo Blue's Stallion Profile, including pedigree, click here. 2017 USEF Hunter Sire of the Year. 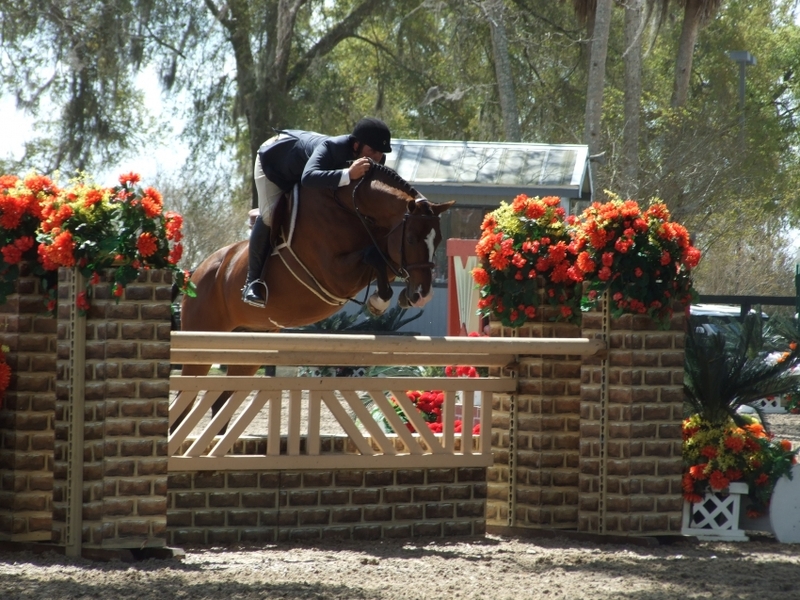 To read more about Hunter Champion Cabardino, click here.